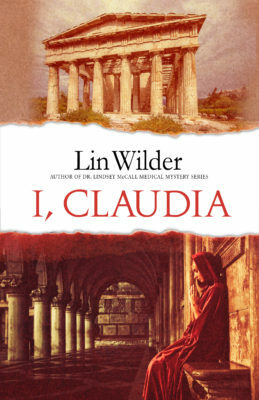 Book Readers Heaven: I, Claudia, Just Out! Latest by Author Lin Wilder! I, Claudia, Just Out! Latest by Author Lin Wilder! “M’lady, M’lady, are you all right?” I could hear Antonia’s concern. She knew how I had dreaded this journey, how fervent had been my prayers for some miracle to forestall what I knew was destiny—his, mine, and the world’s. Unlike the others, Antonia had known me almost since birth. “I’m fine, Antonia, fine. Please do not worry, I am just drained. We have been traveling now for more than thirty days. The heat makes it almost impossible to sleep at night—it never cools off here.” It was still only midmorning, and yet the temperature had to be over ninety. The fall weather in Athens had always been gloriously cool, crisp, wholly different from this unrelenting, insufferable heat. Antonia wasn’t fooled by my reply, in spite of my attempt at a smile. I did not blame her. I knew that the upturn of my lips was more rictus than smile...and with good reason. We were heading toward a doom of the kind the world had never seen, and I knew there was nothing I could do or say to stop it. Surveying my surroundings, I felt no relief at the unchanged jubilance, the joyous expressions on the faces of the crowds. It would come, and soon. I am nearing the end of my life. Seventy-nine years lived as a shadow, a face behind a curtain, whispering the residues of a dream. Insubstantial, unheard. But my time of silence is done. It is time to write the truth for those with ears to hear it. I am Procula, wife of Lucius Pontius Pilate. My husband has been dead for several decades now. Like me, Lucius is the subject of vast ignorance, lies, and injustice. The very name Pontius Pilate has become synonymous with cowardice and betrayal. Those who claim to know the substance of my dream believe it emanates from evil. 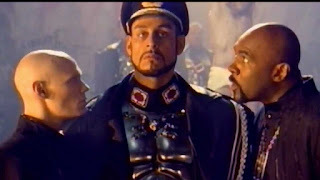 Others insist that those words that will be recited by Christians, “Suffered under Pontius Pilate, was crucified, and died,” were the source of terror in my dreams. I was told by the Oracle that those eight words would echo throughout the centuries and be memorialized in something that would be called the Apostles’ Creed. Most of the people reciting the Creed would mindlessly overlook the word under and believe that the Righteous One was crucified by my husband. I was born in Delphi, daughter of the last of the Oracles of Pythia. It was a time of disorder, chaos, terror, and the death of nations. My mother broke her vow of virginity in lying with my father. She feared for both our lives, because what she had done was punishable by death—hers and mine. The time of the Oracles was coming to an end. Men no longer listened to the whispers of the prophets, certainly not to the women—not even when we had the words of the gods on our lips. I survived, but my mother did not. 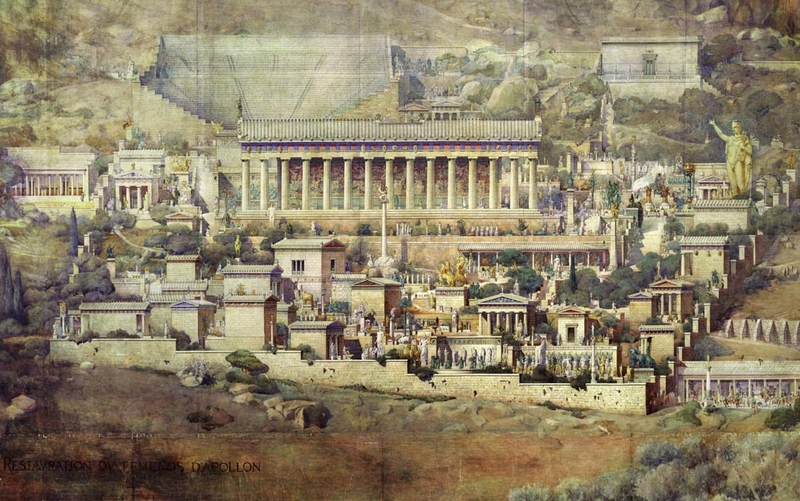 I was taken to Athens, where I was raised by Adrian and Sabina. Only they knew that I was the last Oracle; my true identity remained a secret to all others—although my husband speculated as much, due to my foreknowledge of so many things. Having read a number of Lin Wilder's books, I have loved each one of them. 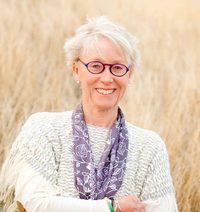 When she announced her new book, a literary historical novel set in the distant past, I confess I didn't think too much about it...Wilder writes continuously and in various genres. Nothing, however, could have prepared me for I, Claudia--not even the book description. Quite simply, I am honored to be one of readers of a novel so insightful, so fulfilling and inspirational, and, yet, so well written, that readers immediately sink in Wilder's choice of words, knowing that much research has had to be done to be able to emulate and expand upon one of the most famous stories ever told. Wilder's decision to write from the perspective of the wife of Pontius Pilate, and thus her husband's role in the crucifixion of Christ, allows readers to move away from the obvious spotlight on Jesus Christ, to those individuals that were actively involved in the background. Those individuals who were destined to be part of a murder--and yet not a murder--but a fulfillment of God's plan. Karl Rahner who coined the phrase “anonymous Christian” to describe men and women of “good will” who have not been catechized. Rahner’s categorization provided the solution to a problem that had plagued me for much of my life. Whether because of culture or ethnicity, these are people who have never encountered the Gospel, but who, through some mysterious and unknown power known only to Christ, merit salvation. The phrase anonymous Christian describes men and women like Lucius, Claudia, and Quintillus: people who follow their conscience and live lives of redemptive faith, not mere belief. The only place I knew as home echoes in my mind and heart still, after almost eight decades of absence. The Delphian air is purer, the sky bluer, and the mountains redolent with wisdom. 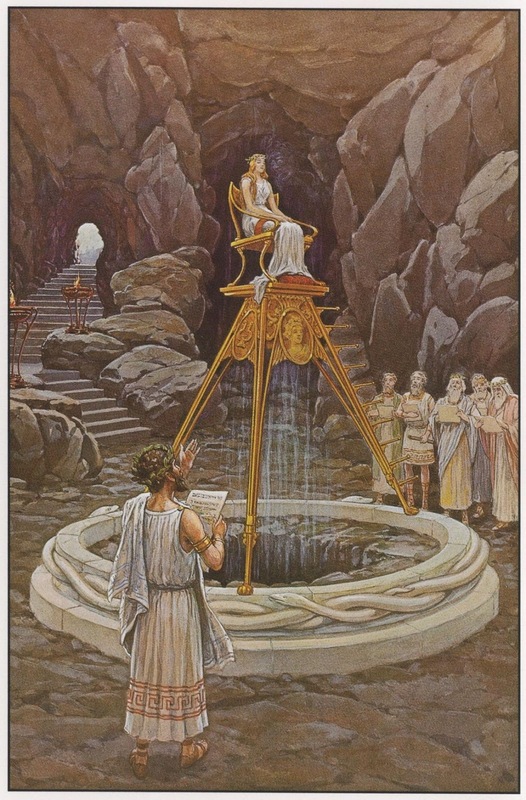 Scrambling through the tunnels beneath the Treasury of Athena kept me safer than I’d have been in a nanny’s arms, and infused me with more knowledge than did my later tutors. It was there, crawling alone around and under those sacred stone structures, that the unreliability of the senses, the language of the Forms, the highest Good, transcendent and absolute, impressed themselves into my very being. That there was just one god, not many, was a certainty I shared with the Hebrews. 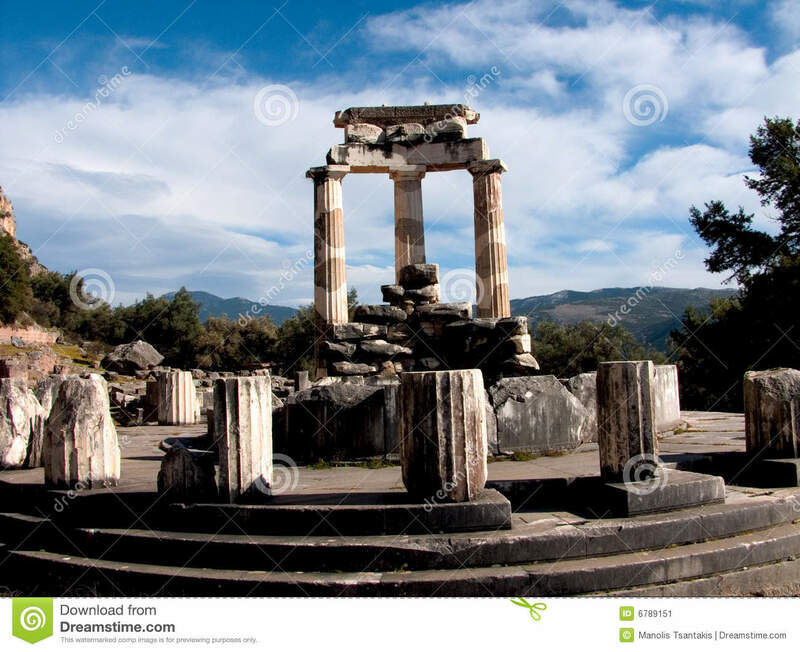 The mystical, the supernatural force of God is emphasized through Claudia's life and her continued connection to Delphi, even after she had married Lucius Pontius Pilate... In fact, the merger for marriage between Claudia's uncle and Pilate, took place at their first meeting when Claudia was just 5 years old. And the meeting of Lucius and Claudia on the date of their marriage, both falling immediately in love, lent a further mystical experience to their time together as husband and wife. Reading about their love affair marriage, even while often separated due to his position, was a lovely addition, in my opinion. They had been married five years when Jesus arrived on the scene. Lucius Pontius Pilate had been specifically placed because of the difficult problems between those of religious faith who were also responding to the King. Note: Videos were selected based upon how close the words fit the novel and are not from any one musical selection.